Open edX latest version, Hawthorn, has been released in August 2018 with a multitude of demanded features. The updated version brings a more learner-centric approach, improved data management towards GDPR compliance, optimized video, adaptive video streaming, responsive mobile design, and more. This article discusses the most important Hawthorn features that will benefit both the students and educators using Open edX. One of the first changes you’ll notice on the course homepage in the LMS is that now the sections and subsections can be expanded or collapsed, to better navigate the course outline. Another very nice improvement is that subsections that have a prerequisite the user has not fulfilled will no longer be 100% hidden, but will be visible in the outline, and of course locked to access, but the fact that they appear in the outline will help to get a much clearer navigation experience for the learner. The Hawthorn release includes a new Completion API which empowers the tracking learner’s progress. Earlier, there was no way to find out how far the student has progressed other than the grades obtained in the different sections of the course or the fact that the learner had completed the course and was awarded a certificate. The newer version also brings visible progress indicators which are green colored checkmarks that show up in the navigation bar. Each unit is marked as complete when the student has watched all videos, viewed all HTML content, and submitted their answers. A simple yet very useful addition in Open edX Hawthorn is Resume Course button. Often students were curious and jumped to different units of different courses to see what’s coming up next. Once they were done, it was difficult for them to navigate back to the course they were currently taking. The ‘Resume Course’ button takes them back to the last completed unit. In the backdrop of well know private data management scandals all over the Internet, privacy has become a serious concern for people around the globe which made way for changes in digital privacy regulation including European Union’s General Data Protection Regulation (GDPR). 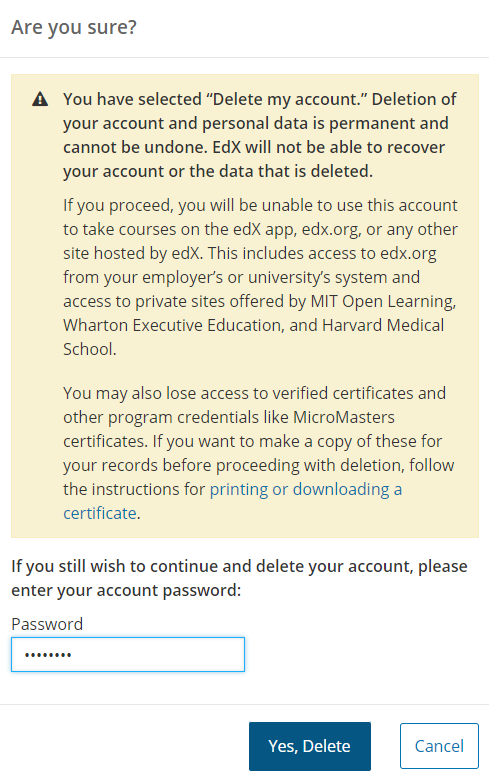 The Hawthorn release increases Open edX GDPR compliance as users can now choose to have their data removed through an account deletion request. Moreover, the account deletion process includes an explicit confirmation step requiring the user password and the proper disclaimers to reduce the likelihood of users having their accounts and data removed by mistake. The new version of Open edX expands online forum discussions by default which can increase engagement by three times. Students can now also receive a notification through email alerting them about a comment made on their post. Another small but important feature added to this build is that the student’s profile page now displays the date they joined Open edX and course credentials they’ve received. It can also show links to the user’s social media accounts if the user chooses to add them and this can contribute to build and strengthen your online learning community. The alternatives for enforcing a password policy have been modified in Hawthorn. This feature allows defining restrictions and minimum requirements for the definition and selection of a password by the user, allowing the administrators of the platform, to regulate the length, character types and other characteristics of the passwords created by the users, with the goal of improving and strengthening data protection. This new implementation uses the new Django built-in validators and removes some of the configuration variables that were used in the previous versions. Previous versions of Open edX were limiting in that when the video content was being served through Amazon S3 service, you had to stick either with low or high-quality resolution. Open edX Hawthorn has now made it possible to bring both types of video streaming options. Quality of video will automatically adjust depending on the internet speed. It is an ideal situation for students who want to access video content from their phones. Given the reportedly large percentage of users that are finding the courses over mobile devices, Hawthorn focuses on improving the experience for students who are learning on their smartphones by introducing improvements to the responsive design and completely overhauling for the native mobile apps. In the latest version, students have now the option to buy all the courses in a particular program with a single transaction which may also offer a discounted price. They won’t have to go through the exercise again and again. Open edX Hawthorn build also allows students to view and add course reviews from within the experience. 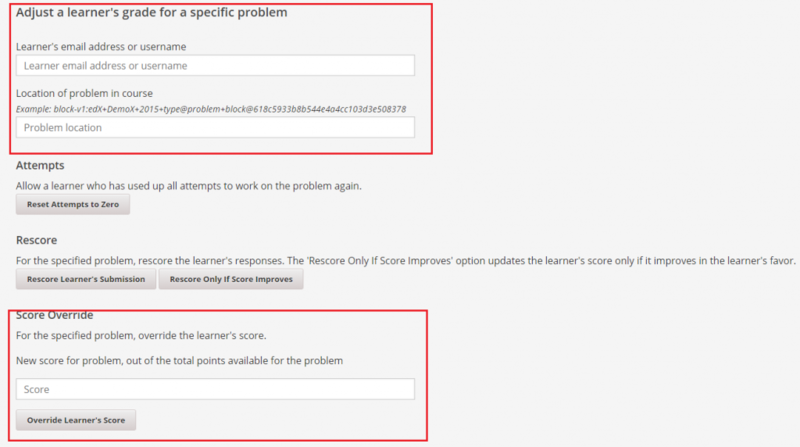 Course instructors will now have the possibility of manually overriding a specific student grade for a specific problem. This gives a lot more managing capabilities in specific situations or exceptions a course may face. Course instructors will also be able to conveniently manage individual date extensions when needed using the LMS instructor dashboard. In order to make the experience more convenient, new features were introduced which included drag and drop files for uploading them to the Studio, search feature for finding an earlier uploaded file, filter by file type, and hide file review options. For those wondering, uploading folders with files or subfolders in them is still not available. You may do it using the OLX specification adding your folders and subfolders and importing the course as a .tar.gz file, but still, all the files in the course will end up being uploaded to the same folder. Open edX Hawthorn doesn’t only make the lives of students easier but of authors as well. HTML components in the new build have finally been updated to bring easier formatting features for course authors. Another important addition is the ability to add images to HTML components without any need for prior uploads. ORA problem editor has been updated with a new interface which brings new formatting options for the prompts same as available for HTML components. Teachers can now see all of the submitted ORAs including the phase they are in. In April 2018 product update of Open edX, it was noted that weekly highlights can have a positive effect on students’ extent of engagement in self-paced courses. 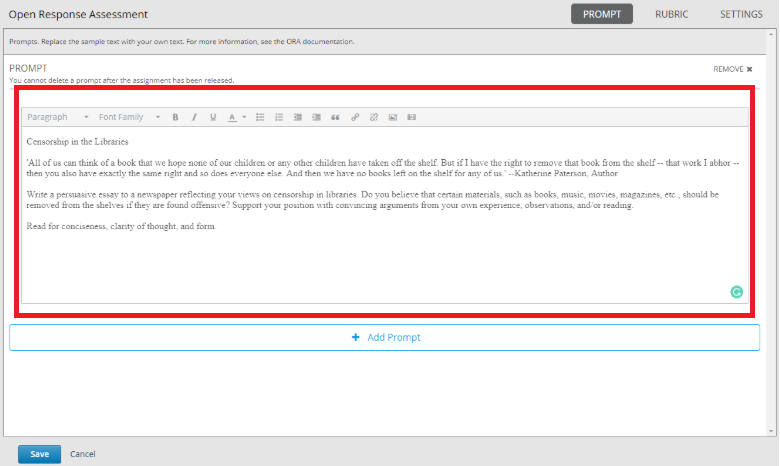 The highlights email in Hawthorn build allows authors to mention key points of each unit which are then sent by Open edX to the students on weekly basis. Proctored exams have also been updated to enable course teams to include specific guidelines though Studio settings. As it is often the case, the upgrade to the new release requires a significant amount of work and configuration, especially for complex features such as the Account removal request button, the email notification for discussions responses or the branding and localization of these new features to other languages. It may also be a great opportunity to give your open edX installation some deserved maintenance and hardening. Here is where eduNEXT can help. If you need assistance in order to install the latest version of the open edX platform or to migrate your running installation from a previous version to Hawthorn, make sure to email us at contact@eduNEXT.co. For all of eduNEXT’s subscribers wondering when the latest version will be available in their Software, we are glad to inform that such upgrade is already on the way and will be delivered by the end of December 2018. If you want to enjoy the latest features in an open edX installation that is professionally managed and continuously updated, consider one of eduNEXT’s Open edX software as a service subscriptions.